How a reporter from Jew-baiting, Israel hating, Iranian propaganda channel and Jeremy Corbyn’s former paymasters Press TV managed to live tweet Labour’s vote of no confidence in Jew friendly Joan Ryan, Enfield North MP and chair of Labour Friends of Israel is down to “infiltration” says the Telegraph. Her speech was followed by a Q&A in which a rather notorious British academic carefully explained, among other things, that Hillary Clinton was a Zionist warmonger and that “80 per cent of the American media is owned by the Zionists”. Dar seemed to be sitting in the front row for this and there was no sign of dissent. But, no. The Telegraph makes no mention of her. Beneath the headline: “Iranian activists infiltrated Labour and were able to vote in pro-Israel MP’s no-confidence ballot” – this infiltration was presumably facilitated by the cunning plot of joining the Labour Party and voting democratically – we get the facts. Ofcom revoked Press TV’s broadcast licence for airing the forced confession of tortured Iranian journalist Maziar Bahari. The proceedings were nasty. The farce comes from banning the media. When pretty much everyone smart phone and a Wi-Fi signal, why bother? Let them film. Why should only Iranians desperate for party political news from Enfield get to see the show? One source in Enfield said a few years ago only 15 or 20 people would have tuned up to such meeting; now it’s anything from 200 to 80million. She might not be famous in Edmonton, but Ryan is a mega star in Tehran. Allow for an ad break, and Enfield could be coining it in. 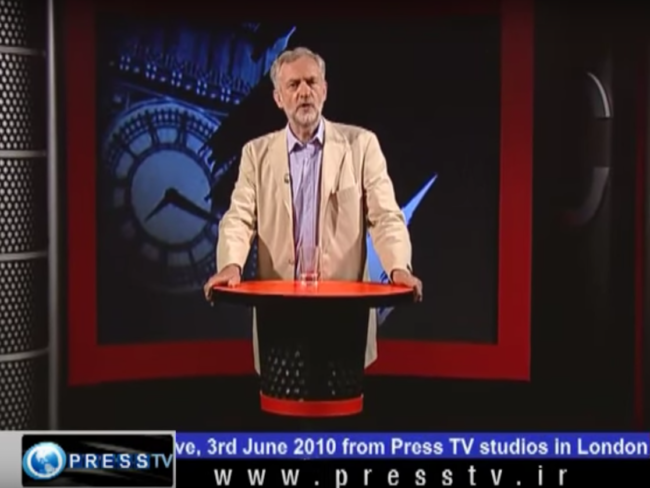 Still not heard much from the Labour members who voted a no-confidence motion against Joan Ryan as to why Iranian TV was in the room. I feel we might have heard a little bit from them if Israeli TV had been in the room.